Dean has a black dress shirt that I think looks quite snazzy on him. It’s got a little brown label on the left breast pocket, which means it’s the same brand of shirt as Dean's S1 green and beige shirts. In Route 666 (1x13), Dean is wearing it at the gas station in the beginning of the episode when he checks his messages, until after tea with Cassie and her mom. 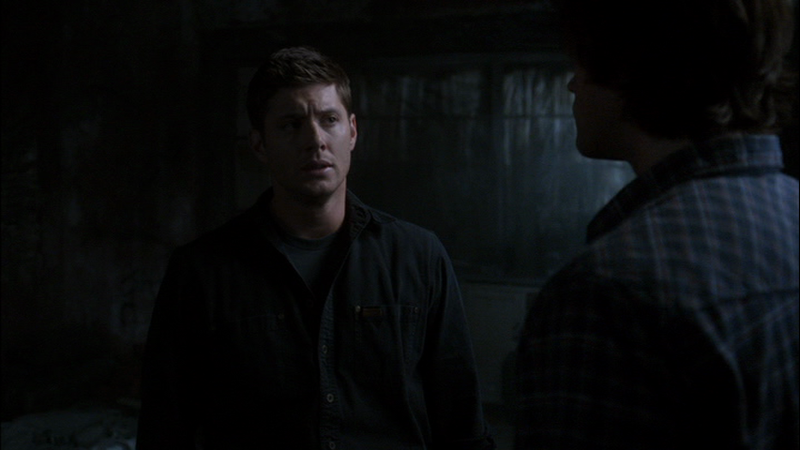 In Hell House (1x17), Dean is wearing it on the drive through Texas and keeps it on while they question the eyewitnesses and the record shop guy. He puts it on again after his and Sam’s first encounter with the Tulpa and leaves it on for the remainder of the episode except the final scene when Ed and Harry drive away. In Everybody Loves A Clown (2x02), this is possibly the shirt that Dean wears at John’s Funeral pyre. In Heart (2x17), Dean is wearing it when Sam frantically finds him at the hotel after Madison fails to be cured until the end of the episode. In Hollywood Babylon (2x18), Dean wears it after the second death (death by giant fan) until Walter’s death. In Folsom Prison Blues (2x19), Dean may be wearing this when he is arrested at the beginning of the episode. 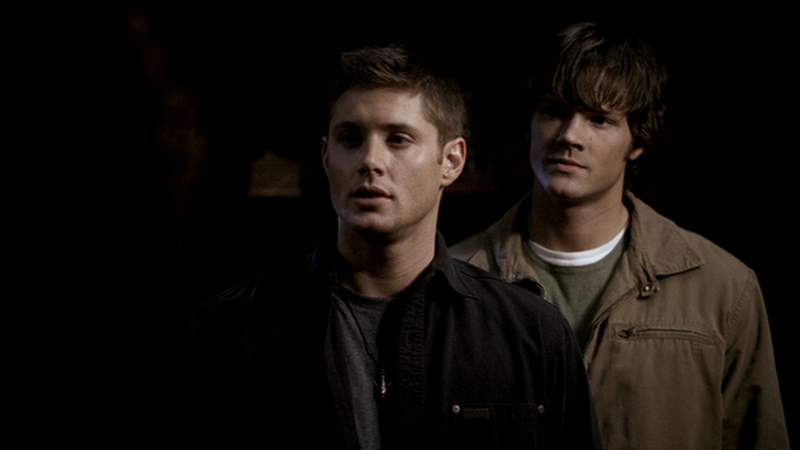 In Exile on Main St. (6x01), Dean wears it from when he accidentally hunts a yorkie until the end of the episode. FATE: It may have suffered some rock-salt damage in Asylum (1x10). It may have gotten confiscated by the prison authorities in Folsom Prison Blues (2x19).